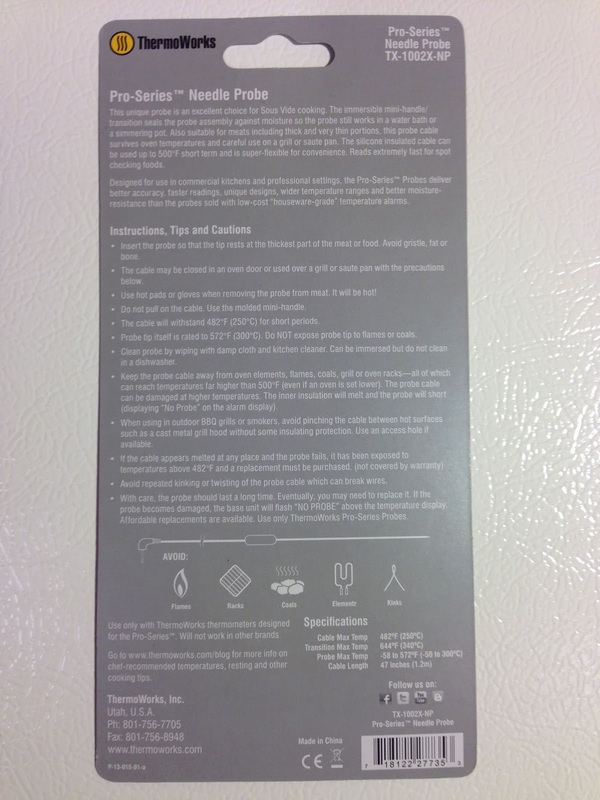 Top right of the front of the package. 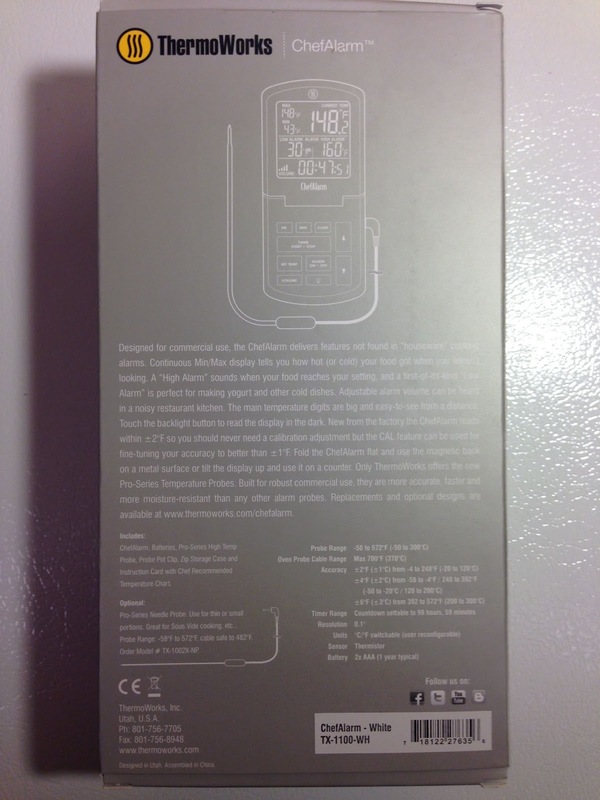 This probe is Immersible. 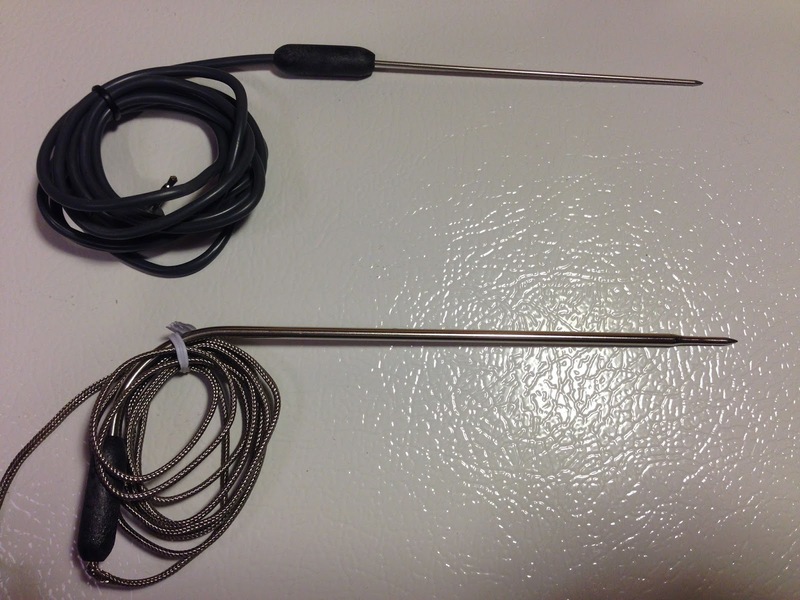 The included Pro-Series Temperature Probe (bottom), Side by Side with the Pro-Series Needle Probe (top) temperature probe. 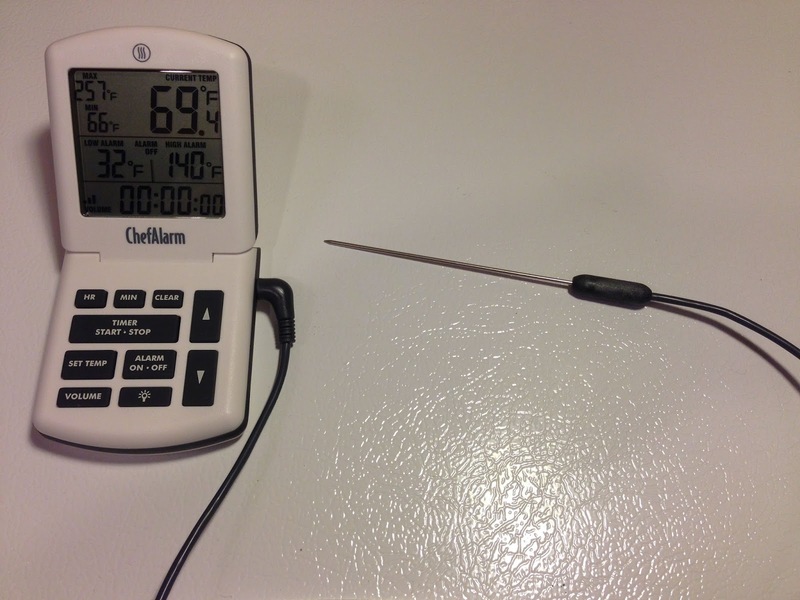 What’s the difference between these two probes? 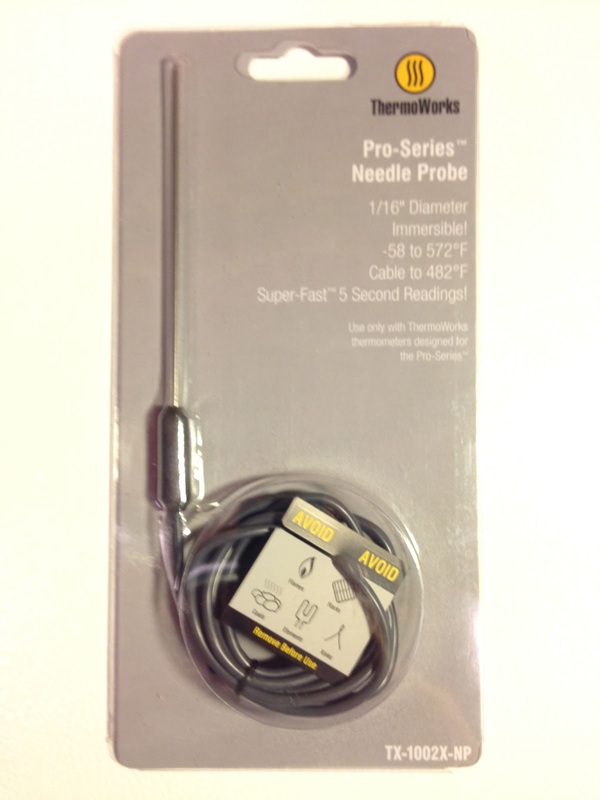 Here’s my take on this… The Pro-Series Needle probe has a smaller (needle) probe and it also more moisture resistant. 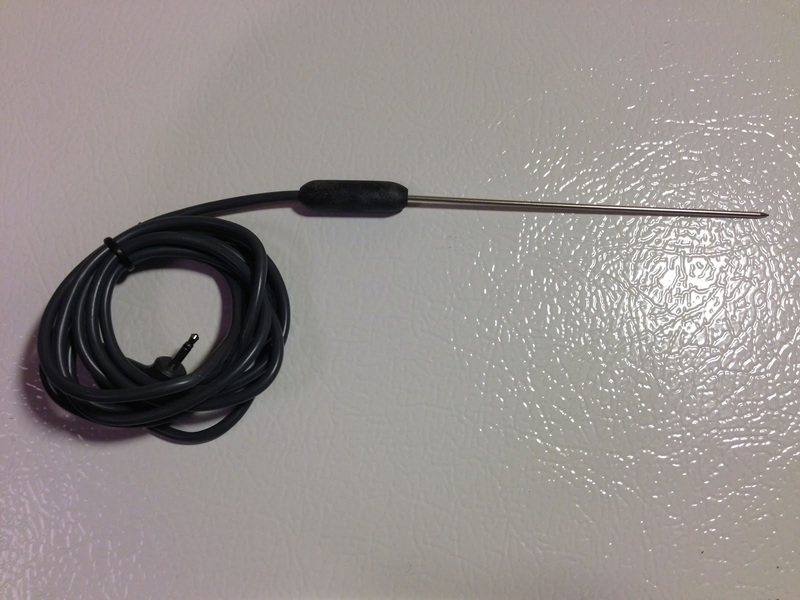 Both probe and the cable can be immersed where only the probe portion of the included Pro-Series probe should be immersed. 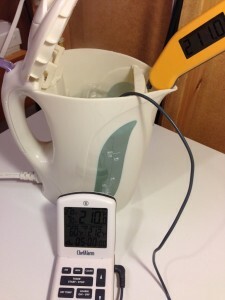 Here’s the probe and part of the cable (Pro-Series Needle Probe) submersed in boiling water. 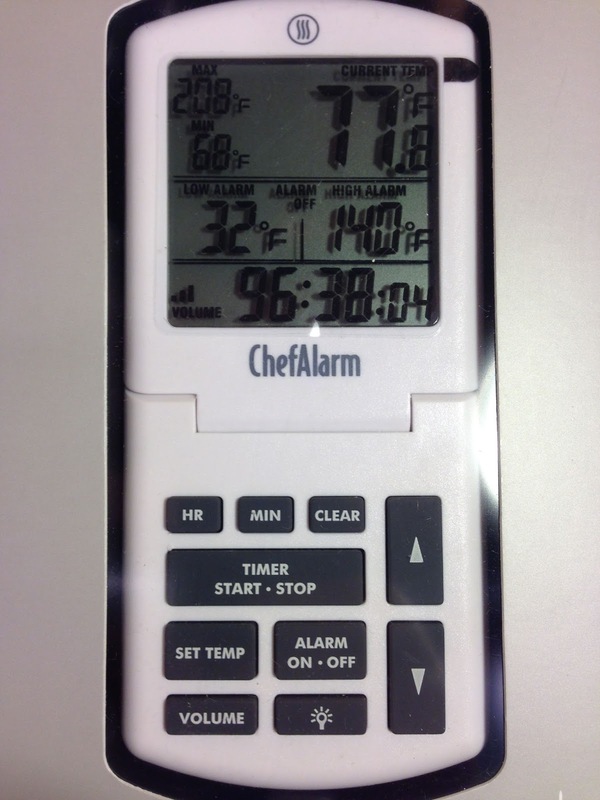 |Boiling point varies based on atmospheric pressure. 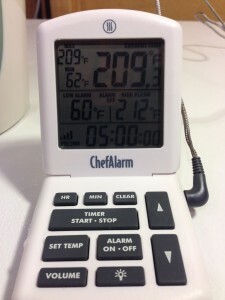 For this test, my Thermapen (Hands On) shows that boiling water is about 210.9 deg F.
The ChefAlarm (with standard probe) reads 209.3 deg F. A variance of 1.6 deg F. That’s within the stated +/- 1.8 deg F specifications. 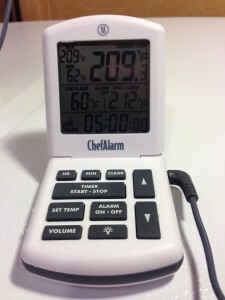 The ChefAlarm (with Pro-Series Needle Probe) reads 209.3 deg F. A variance of 1.6 deg F. That’s within the stated +/- 1.8 deg F specifications. Ice water is a more reliable reference point. 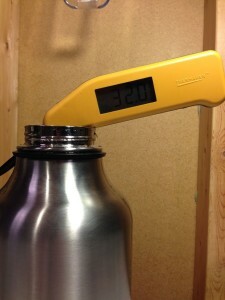 I usually use my Top Find Vacuum Insulated Growler to make ice water for thermometer testing. 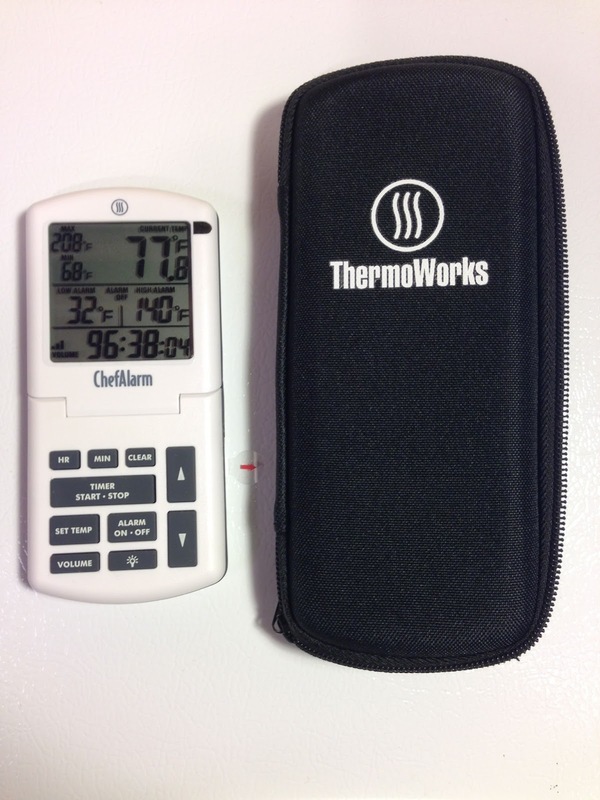 My Thermapen shows 32 deg F.
The ChefAlarm (with standard probe) reads 30.9 deg F. A variance of 1.1 deg F. That’s within the stated +/- 1.8 deg F specifications. 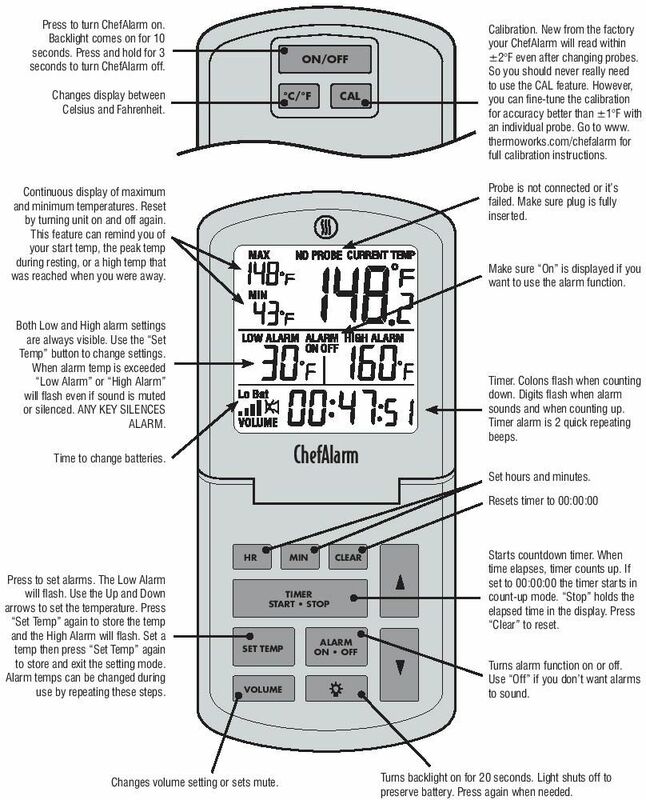 The ChefAlarm (with Pro-Series Needle Probe) reads 30.9 deg F. A variance of 1.8 deg F. That’s within the stated +/- 1.8 deg F specifications. 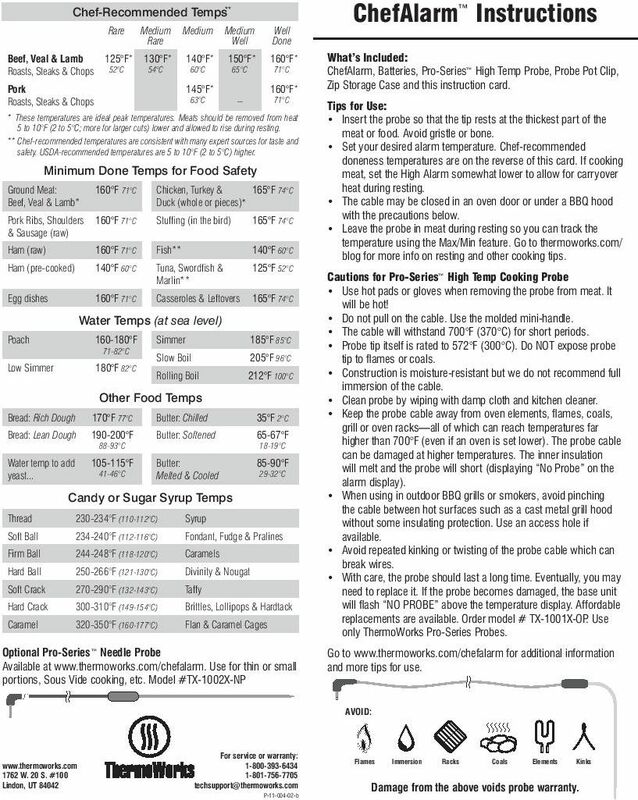 The manual says that all compatible probes should read within +/- 2 deg F out of the box. 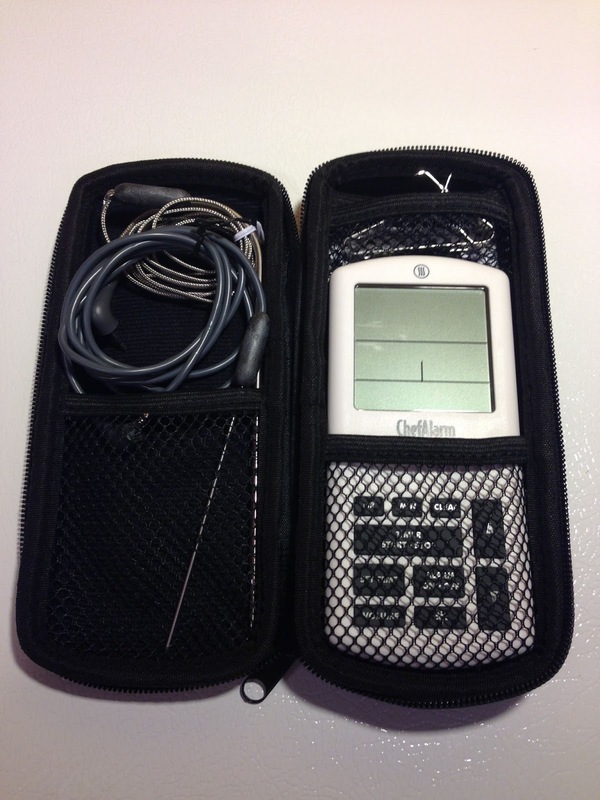 “However, you can fine-tune the calibration for accuracy better than ±1°F with an individual probe.”. 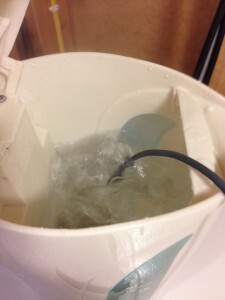 Calibrating the probe is a simple process and is done using ice water. 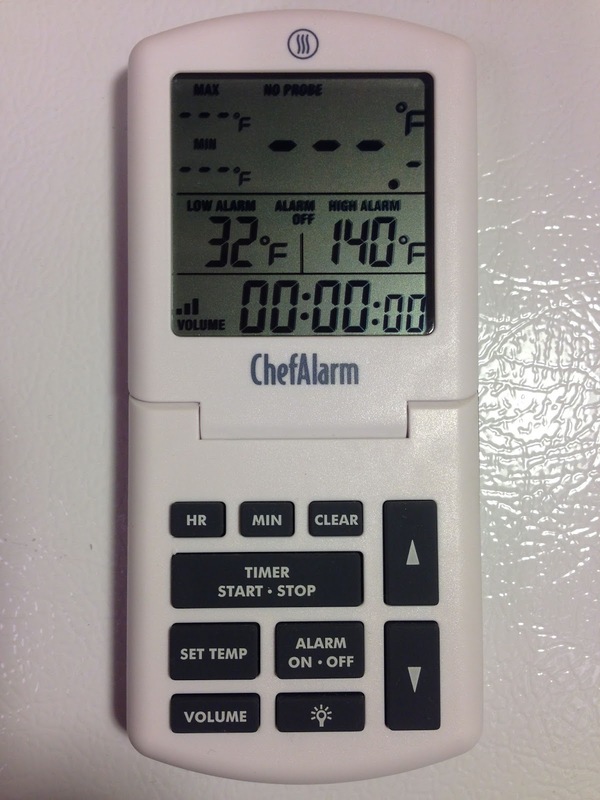 Here is the ChefAlarm, after being calibrated, reading ice water perfectly using the Pro-Series Needle Probe. 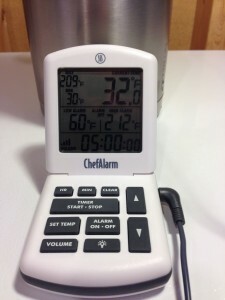 Here is the ChefAlarm reading boiling water to within around 1 deg F after calibration. 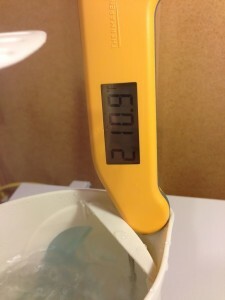 I found the Pro-Series Needle Probe level out at right around 10 seconds when measuring 158.7 deg F water. I used a video to determine that response time. 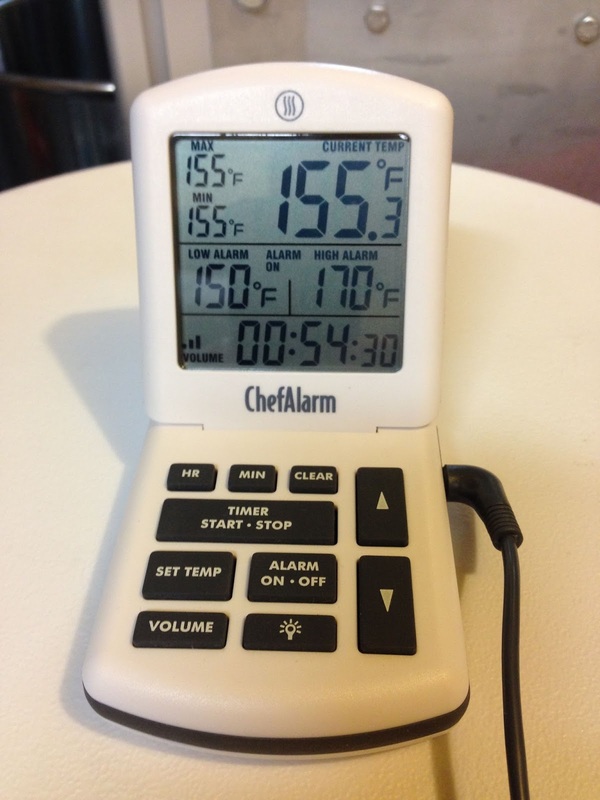 That’s a respectable response time, although not eerily fast like the Thermapen. 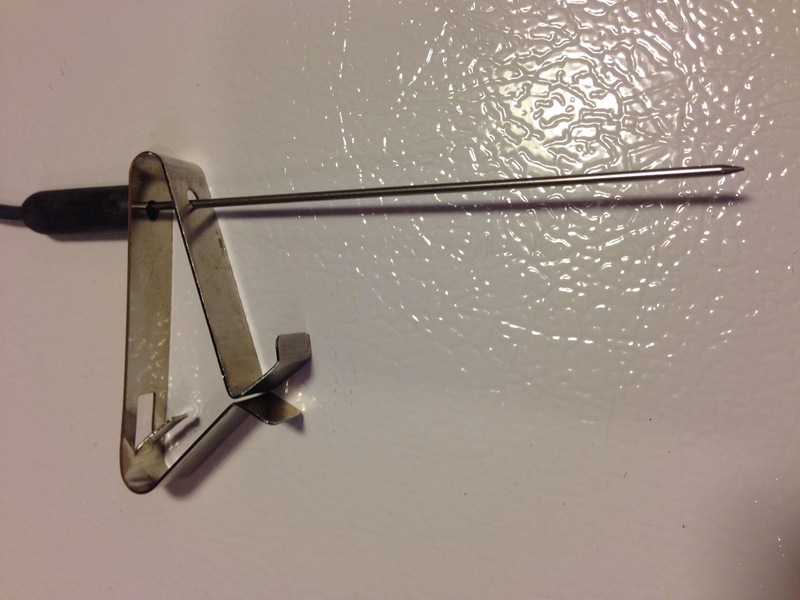 I am able to run the the pro-series needle probe right under the lid of my Igloo Cooler based Mash Tun. 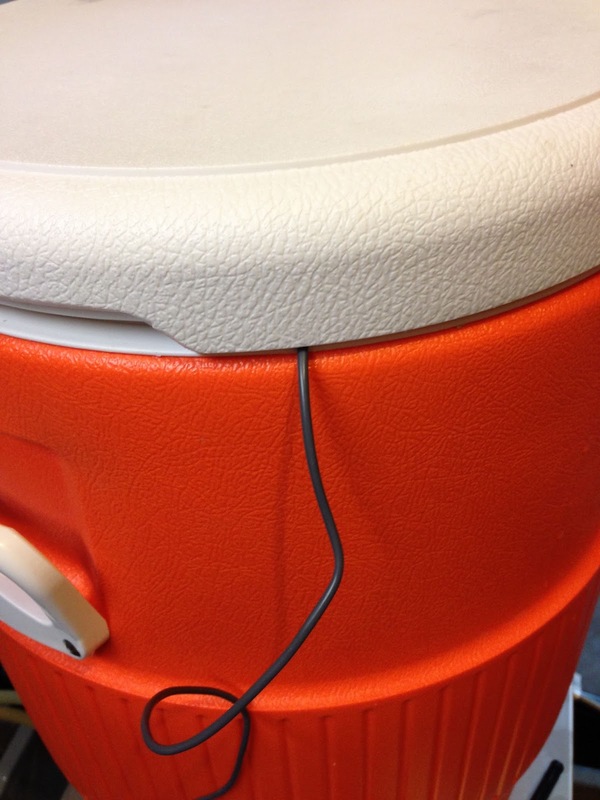 This is a big benefit of the Seat Top style cooler. 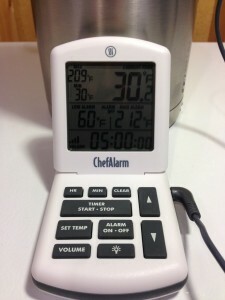 The ThermoWorks ChefAlarm tracking mash temp like a champ. 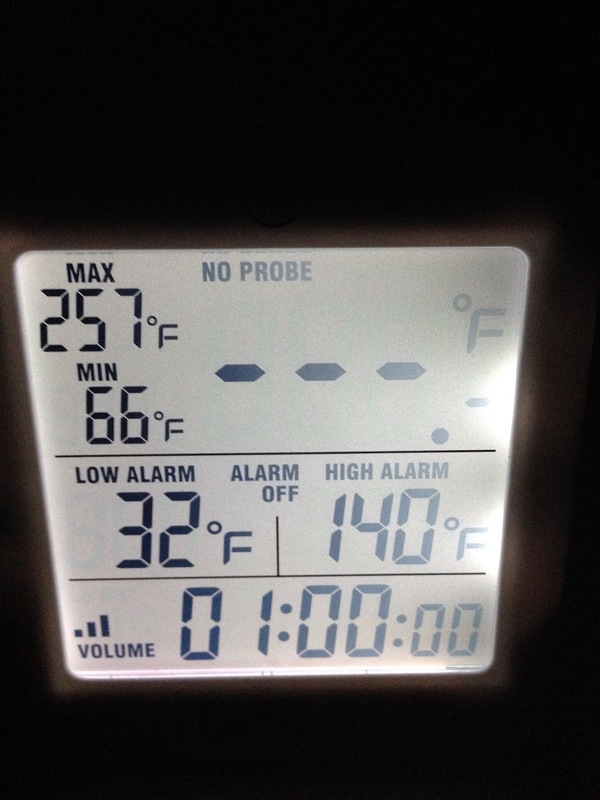 It keeps a running high and low tally so you know what has happened over time. 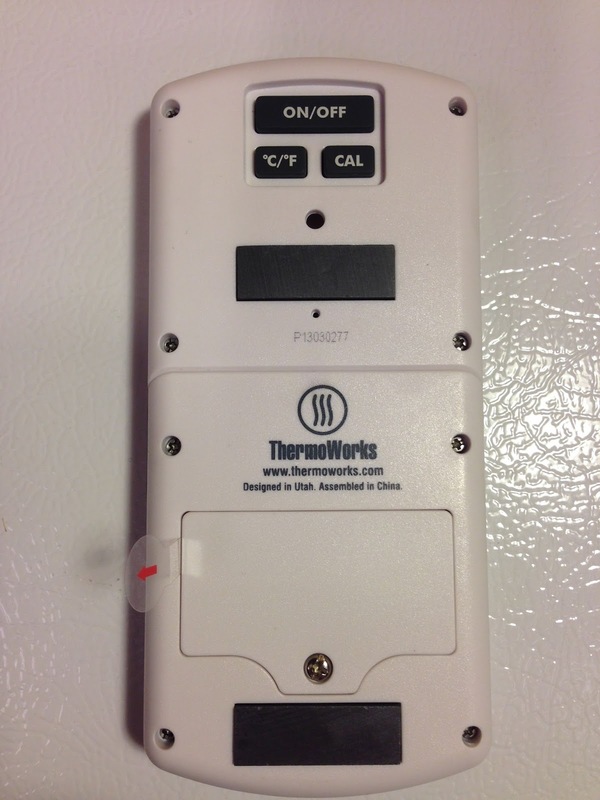 It also features both high and low alarms. 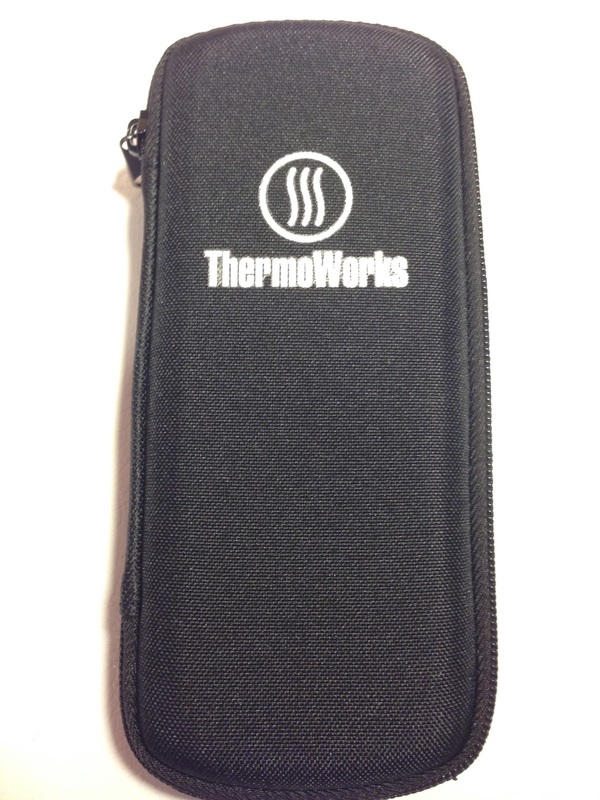 The ChefAlarm from ThermoWorks is a winner in my book. 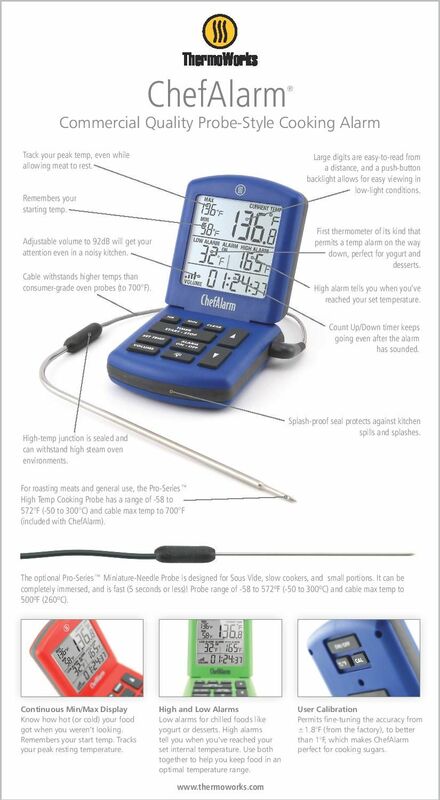 It’s combination of features and it’s accuracy make it a great choice for homebrewers. 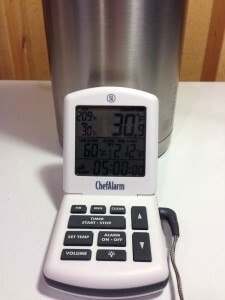 That’s especially true if you to plan to use the alarm features for your mash tun, HLT or brew kettle. 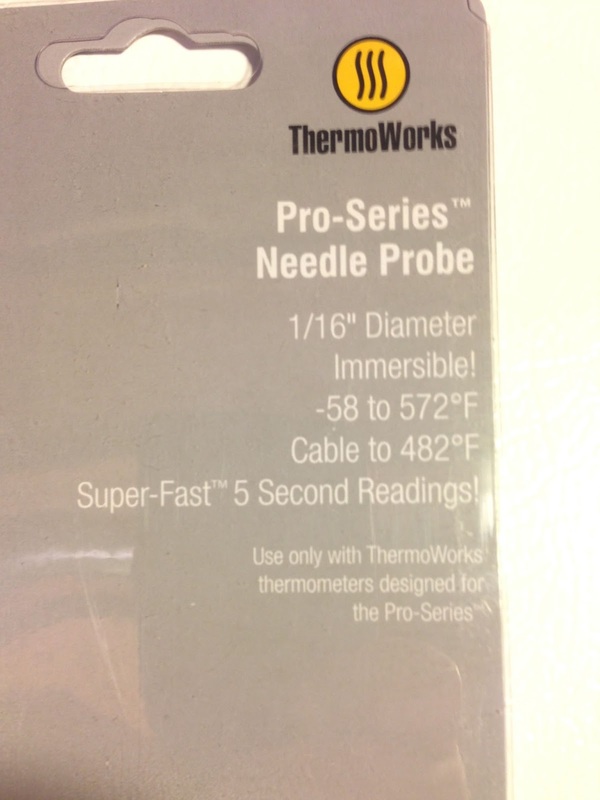 I do recommend adding on the Pro-Series Needle Probe because the probe and cable are immersible. 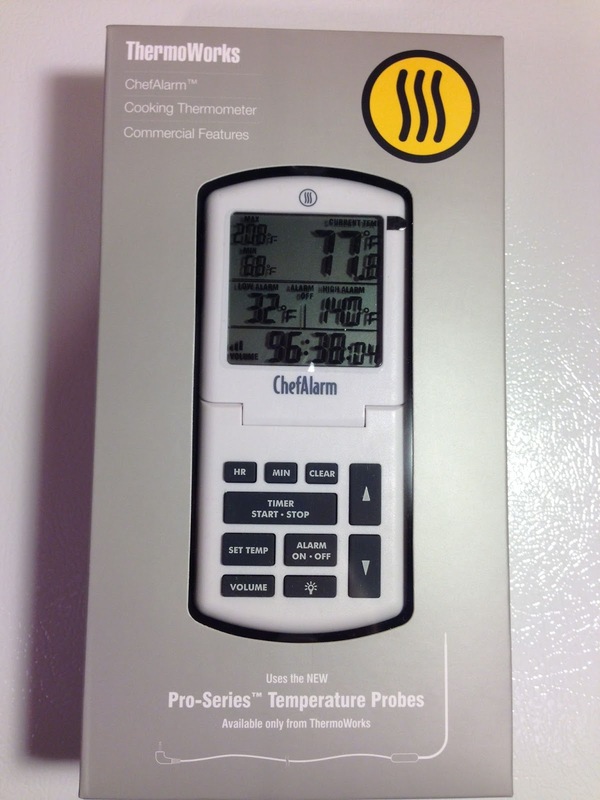 This entry was posted in Featured Reviews, HBF Tested, Reviews, Reviews & Top Posts, Thermometers, ThermoWorks, Timers on December 13, 2013 by admin.